Tesla reported third quarter production results on Tuesday, and said it made 80,142 vehicles in total, including 52,239 Model 3s. 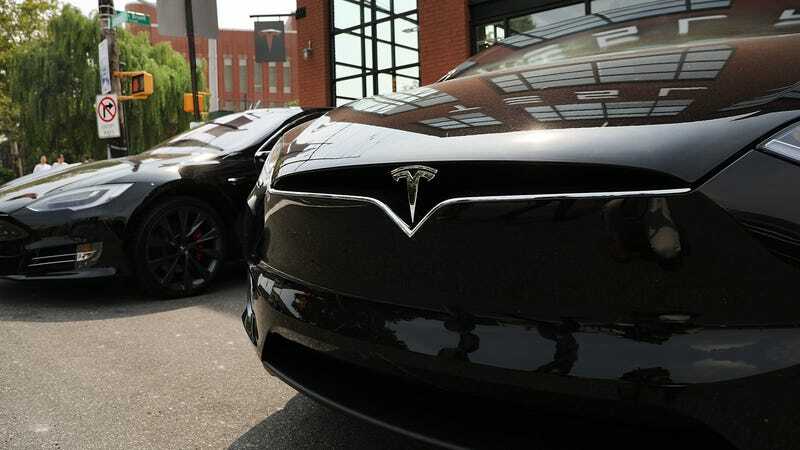 The company also edged slightly higher with Model S and X production, making nearly 27,000 in the third quarter. But it’s still working out kinks in its logistics network, which CEO Elon Musk has alluded to in recent weeks. “As part of this effort, we plan to continue to expand direct deliveries to customers at their home or office, a service we launched in Q3 to improve customer convenience,” the company said. With that in mind, focus will shift toward the company’s financial results in the third quarter, which Musk has said will begin its shift toward becoming a solidly profitable entity. The company said in August that a total vehicle output of 7,000 vehicles per week (or about 91,000 per quarter, about 10,000 more than Q3's total) “should enable” Tesla to become sustainably profitable for the first time in its 15-year history.